We’re always on the lookout at Arbuthnot’s for cutting edge, high quality frames that both feel comfortable and look great. 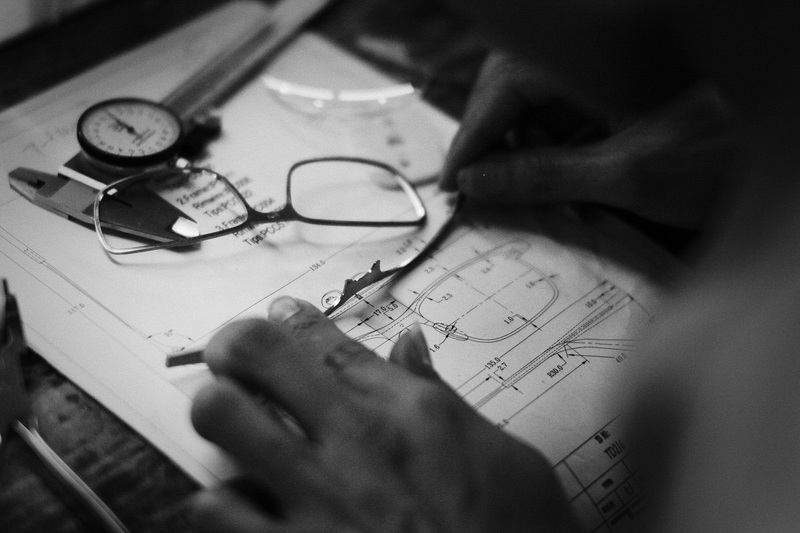 TD Tom Davies is a London based frame manufacturing house that constructs beautiful, high quality ready-to-wear frames but we think more interestingly, offer a full bespoke frame manufacturing service. This means your frame is made only for you. We usually start by looking at the ready-to-wear frames for inspiration and then let ourselves loose on designing a frame that’s perfect for you. The frame is hand-made to our specifications so we’ll take a whole range of accurate measurements of your face so it fits just perfectly. We can then select materials shapes and colours to suit you. We can even use natural horn, a material that looks stunning in glasses frames. When constructed, the frame with also have your name subtly engraved on the inside of the side (optional). If you want to leave your email address then TD Tom Davies will send you photographs of your own frame being made right through each manufacturing process so you can appreciate the quality and workmanship. There’s quite an impressive celebrity client list known to support TD Tom Davies’ creations with Angelina Jolie, Heston Blumenthal and Masterchef’s Greg Wallace all known to be wearers. We’re proud of our frame ranges and would be delighted to show our clients this range and provide a bespoke frame designing consultation.